Just took my “Chinesisch II” exam on Monday, and getting an “A” was actually better than I expected, considering that I could only actively write about 50 characters at the beginning of last week (and I haven’t been doing all the grammar and test prep exercises with everyone else because they bore me to tears), and in one week I used Anki’s “cram mode” and the publicly-shared deck New Practical Chinese Reader (Books 1-5) learned to actively write over 700 (though many of them didn’t come up on the test!) The exam consisted of 120 minutes of listening, reading and writing (entirely in traditional characters, except for the section where you had to write pinyin sentences in traditional characters), including a minumum 100-character dialog to be written at the end, and a 15-minute oral exam (which I did quite well on, got props on me tones!). The reason I knew how to actively write so few characters is that I’ve spent any free time between my two jobs and my Spanish studies this semester getting as much Mandarin INPUT as possible, usually by listening to the NPCR Classbook and Workbook CDs, which I cut to only include the normal spoken dialogs and Reading Comprehension audios and leave out the slow dialogs and boring “pattern drills”, or one of a variety of podcast programs, and then reading the texts whose audios I was already familiar with at the end of the week in Reading Comprehension class or at home, after I was already very familiar with the audio content. I purposely went out of my way to avoid memorizing characters and their pronunciations during most of my first year of study, because I didn’t want it to have an effect on my pronunciation later as it does with most people I’ve seen. Trust me, it’s paid off. But if I didn’t memorize all the grammar we learned in class or do any of the recommended homework or exam exercises all semester long, and most of my learning was reckless and took place “on the go”, how did I manage to do well on the exam? I’ve talked about a number of methods on my blog, including Listening from different ‘angles’ to raise your language awareness, Using Anki in combination with Text-To-Speech Technology, and The advantages of scaffolding-based learning, but what I usually end up doing every day is random and inefficient – it’s what I like to call reckless language acquisition. 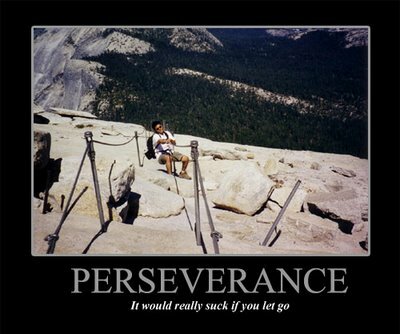 And because, try as I may, most of my language learning falls into this category, I’ve come to realize that, in the end, what really matters is PERSEVERANCE. DAILY MANDARIN INPUT = DAILY WINNING. NUFF SAID. I have a good 10 GB worth of Mandarin content on my Nexus One, and I listen to some of it at every opportunity everywhere I go, usually starting with listening in the shower in the morning and ending with listening while brushing my teeth in evening. Some days I’ll listen to the same 5 Intermediate ChinesePOD lessons over and over again just to hear content I understand most of and let the high-frequency vocab sink in. Some days I’ll create a giant UpperInt playlist with ChineseLearnOnline, CSLPod, PopUpChinese and others in the mix and just let it play; sometimes I understand a lot, sometimes I don’t understand diddly squat. I’m not capable of listening ALL THE TIME in at least one ear, as in also when I’m talking to people, as Khatzumoto suggests (I’ve tried it), but I take every opportunity I get and listen to SOMETHING in Mandarin, even if it only amounts to 10 minutes of listening at the end of a particulary busy day. I’m listening to my ChinesePOD Intermediate lessons playlist whilst writing this. So many times, I’ve used my Listening from different ‘angles’ method to intensively interact with and understand 90%+ of an advanced text that I only understood a fraction of at step 1 (listening without reading), only to let it slip to the back-end of my playlist and not listen to it for a month (I have long playlists;). Most of the content may disappear from memory when you learn recklessly, but choice bits stay hidden away somewhere, and it happens to me again and again that I hear a rare/difficult expression I don’t try to remember or think I’ll never hear again/be able to commit to memory, only to hear and recognize it that same or the next day in another episode of the same (or a different) podcast, after which it’s found sure enough hold in my mind I’d have to try not to remember it. In the end, the method you choose to use (or not) doesn’t really matter, whether you do the homework or memorize the grammar or not doesn’t really matter, and the polyglot whose advice you choose to follow doesn’t really matter. What matters is that you JUST.KEEP.GOING. 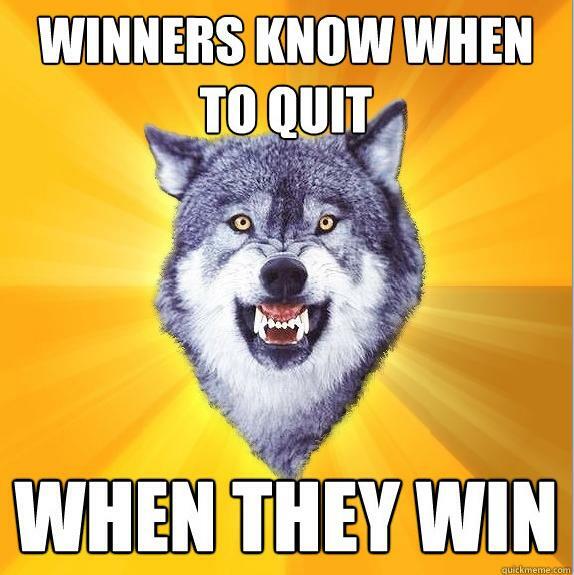 Only n00bs quit. It might take you longer, but you’ll get there. Great article! I’ve always believed that failing a lot was an important factor in success – but I usually talk about it in relation to business/career rather than language. You can look at most “successful people” and they have many more failures under their belt than the average person. Your blog has been an invaluable guide to learning languages since I started learning Mandarin on my own a little over a year ago. I am so thankful for your post where you introduce chines-tools.com. That and your method on listening from different angles is really what got the ball rolling for me in mandarin. After that I applied the same listening concept to native material with English subtitles and found that by analyzing each sentences I hear with its corresponding subtitles, I was able to piece together mot of which mandarin words meant what in English. So I could watch a 1 minute clip of Show lo being funny, and watch that 10 times, and by the end I had gained quite a lot of language. Then I could either add that to an SRS as audio sentence cards, or just re-watch the clip at a later time as a review.